Last summer, Urban Ambassadors hosted a series of garden tours around the city, one of which focused on three school gardens. 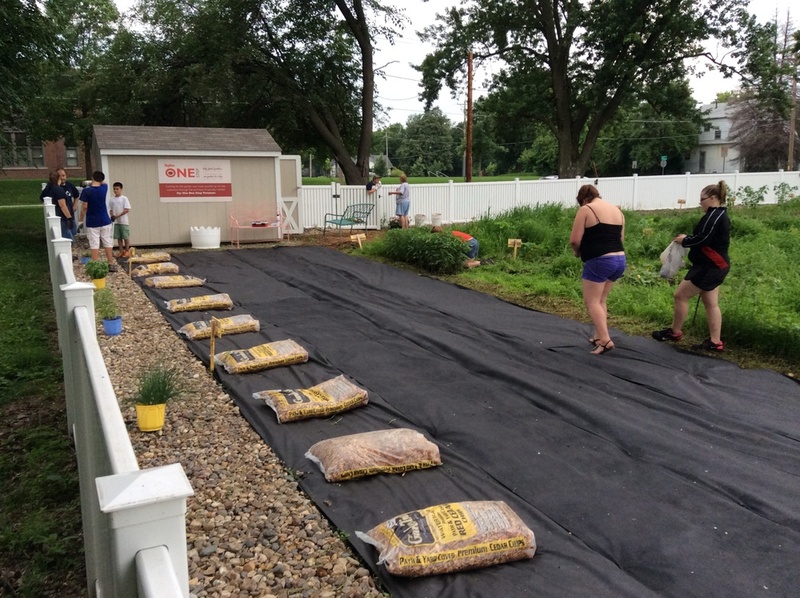 The size and type of garden at schools in our community varies widely, but one thing we learned on the tour was that school gardens always benefit from a little extra community support in the summertime when students are not in class. 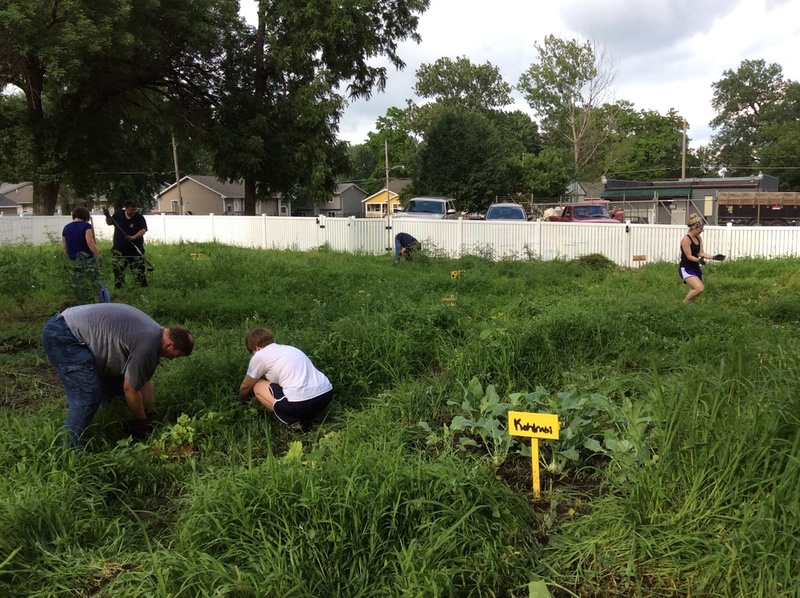 So, on June 29, UA teamed up with the Hiatt Middle School Garden and several community partners to promote an evening work session. A streak of heavy rains meant the crops in this garden, located at E 15th Street and Garfield Avenue, were doing great, but were under serious weed pressure. Working for about two hours, we made a lot of progress working together, as the photos below show. (There are more on Facebook.) You can help the school garden in your neighborhood make progress by offering to volunteer. Our friends at Eat Greater Des Moines have an interactive map showing 13 of the city's educational gardens so you can find a location near you. And stay tuned, Urban Ambassadors plans to announce more service opportunities like this in coming weeks.